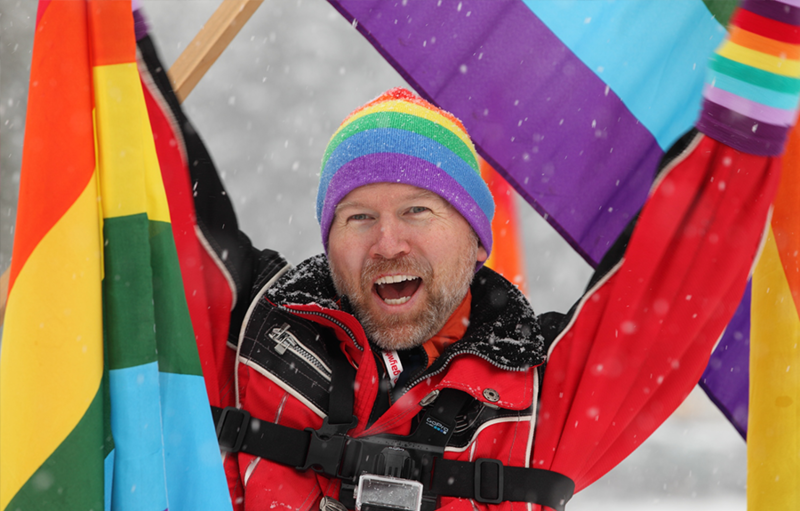 Dean Nelson is currently the CEO of Whistler Pride, and is best known for founding Pride House, the first-ever LGBTQI2S-friendly space at the Olympics in 2010. Having never considered himself an athlete, Dean‘s work to promote inclusion for LGBTQI2S athletes has changed the landscape for the better at both the grassroots and international level. As a young man, Dean Nelson took extreme measures to hide – to hide from sport and to conceal his sexuality. It was not until he received an invitation to attend the 2006 Montreal Outgames, one of the largest sporting and cultural competitions for LGBTQI2S athletes, that Nelson realised his story was not unique. At the Games he witnessed out athletes coming together, participating within an inclusive environment that was free from discrimination and ridicule. Attending the Human Rights Conference at the Games, Nelson was moved to hear many stories of discrimination that were not dissimilar to his own. 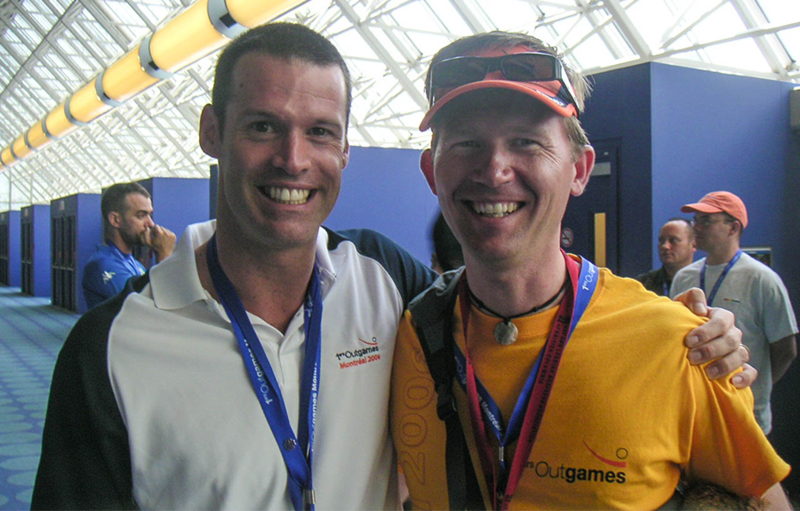 One particular story that moved Nelson, was that of Mark Tewksbury, the first Canadian Olympian to come out publically. Tewksbury reflected that by coming out to his coach Debbie Reynolds before the 1992 Barcelona Olympics, lifted an incredible weight off his shoulders. According to Tewksbury, her acceptance helped him shave an extra 2-3 seconds off his swim time and contributed to his gold medal victory. Nelson found comfort in Tewksbury’s experiences. Although he didn’t compete in sport, the reflections were very much the same. “That’s what it was like for many of us. We spend so much time in trying to pretend to be someone who we aren’t, because we don’t want to be a target. We don’t want to have either your teammates or the opposition to discover that you’re gay. When you don’t have secrets to hide anymore, nobody has power over you. That’s why it’s so important to have a safe and inclusive space for our LGBTQI2S athletes. To have a space to just be themselves,” says Nelson. This inspired him to act on behalf of himself, and his broader community. Nelson set out to create an inclusive space for athletes for the upcoming 2010 Winter Olympic Games in his hometown of Whistler. Initially, the Olympic Pride House was intended as a space where the LGBTQI2S community and allies could come and watch the Olympic and Paralympic Games, safely and comfortably. However, it became so much more than that. It became a site to champion LGBTQI2S athletes performing at the Olympics, foster conversation surrounding homophobia, and inspire others to share their story. This legacy has lived on and a Pride House has been included in each Olympic Games following 2010, with the exception of the 2014 Sochi Winter Olympics in Russia. Nelson’s involvement with Pride House also led to an opportunity to take part in a conversations with the International Olympic Committee (IOC) about their existing policies. As a result of this process and the advocacy work of many, Principle 6 of the Olympic Charter was updated to include gender and sexual orientation under classes protected from discrimination. Although influencing policy change was never an intention of Nelson’s, he was honored to be included. It is without a doubt that Nelson has contributed greatly to the promotion of safe spaces for LGBTQI2S athletes, and the importance of respecting gender and sexual fluidity. Unfortunately, there is still a ways to go. A recent study by Out On the Fields[i] reports that 81% of Canadian amateur and professional athletes having witnessed or experienced homophobia in sport, another 66% believe an openly LGBTQI2S person wouldn’t be safe as a spectator. These numbers are disheartening, but Nelson shares advice for young people who are feeling unsafe or unwelcome in sport due to their sexual orientation or gender identity. Learn about our LGBTQI2S initiatives in BC by visiting the LGBTQI2S page.